The government yesterday assured there will be no fuel price hike next year. Minister of Petroleum Industries, Anura Priyadarshana Yapa, so declared while addressing the media, and said the use of 90 octane petrol would be phased out, and would be replaced by the 92 octane category effective tomorrow (1 January). “The government will make available 92 octane petrol to the public from 1 January, and this exercise will lead to a loss of 80 cents to Rs 1.00 per litre. We need to be on par with international fuel utilization standards. 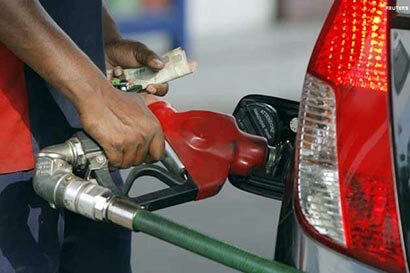 However, the price of fuel will not be increased in the course of 2014. Next year will witness several major overhauls in the country’s fuel sector. We also hope to introduce a new category of diesel which is low in sulphur,” he said. Saying that an agreement had been reached with the Lanka Indian Oil Company (LIOC), to retail 92 octane petrol at the same price at which the Ceylon Petroleum Corporation (CPC)… …will sell the product, Minister Yapa assured that the price of petrol will in no way be increased, following the introduction of the new category. The island’s fuel requirement per day amounts to approximately 2,000 MT of petrol and 5,000 MT of diesel, sold across the country.